The iPhone 4 plans have been finally released by Aircel. They have recently announced new plans on post-paid and pre-paid which are available with the handset. Aircel’s money back plans you can recover up to 100% of your iPhone 4 cost over a period of 2 years. 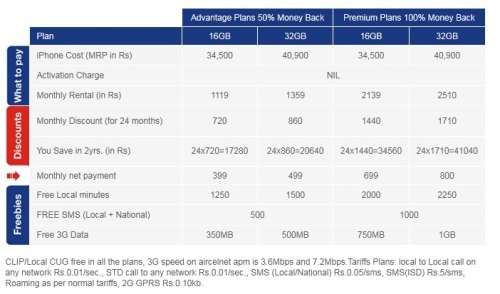 With these plans, you get a fixed discount on your monthly mobile bills upfront. This, when totaled over 24 months will add up to the cost of your iPhone 4.